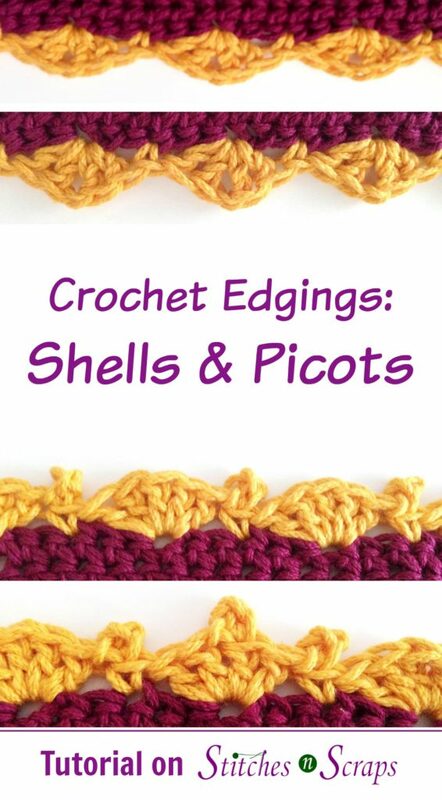 Learn how to add Shells and Picots Edging to your finished projects with this great step-by-step photo tutorial. Adding a Shells and Picots Edging to your projects will give them a polished and finished off look with a touch of classic elegance! These are perfect for baby blankets.